Electronics waste, commonly known as e-scrap and e-waste, is the waste we generate from surplus, broken and obsolete electronic devices. E-wastes are the fastest growing stream of waste found across the world. Based on a recent European Commission report, IT wastes in the EU are expected to grow by more than 12 million tonnes in 2020 alone. Items such as computers, TVs and electronic goods can all be either reused, recycled or recovered. In doing so, many of the valuable materials and components used in making these electronic devices can also be reused, recycled or recovered. Electronics are full of valuable materials including copper, tin, iron, aluminium, fossil fuels, titanium, gold, and silver. Recycling electrical waste and batteries recovers resources for use again in manufacturing – part of the drive toward circular rather than wasteful economical models. KMK Metals Recycling Ltd.’s processes involve the recycling and recovery of materials and components which can be used in re-use and re-manufacturing, contributing to reduced CO2 emissions in comparison to emissions involved in primary production. 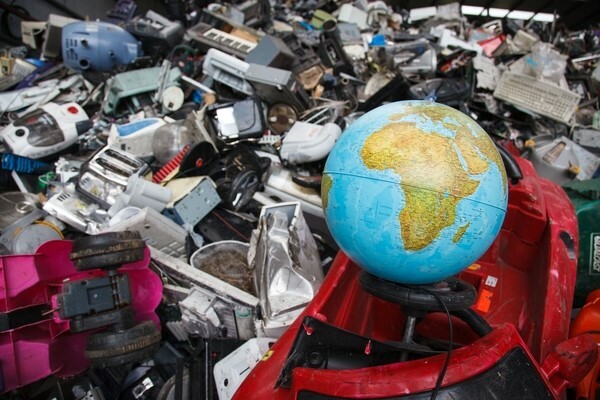 WEEE recycling processes also ensure heavy metals, chemicals and other potential environmental hazards are captured and managed in an environmentally responsible way. KMK’s handling and storage procedures focus on the prevention of release of hazardous materials into the environment. 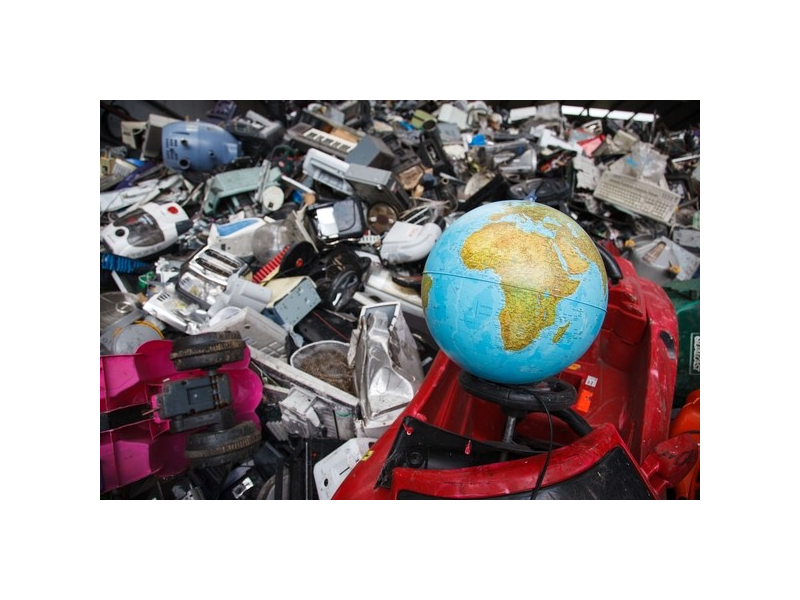 According to a UN study, in 2014 alone, 41.8 million tons of electronic waste (e-waste) was discarded worldwide, with only 10- 40% of disposal done properly. WEEE Ireland conducted a survey where they compared recycling WEEE and landfilling in 2017. They estimated that a figure of 214,000 tonnes of CO2 emissions were avoided due to recycling WEEE. KMK as a super contractor to WEEE Ireland contribute significantly to this figure. The sending of electrical waste to landfill has many negative environmental effects including the release of harmful CO2 gases into the atmosphere, which adds to the amount of greenhouse gases. Greenhouse gases are a serious issue because their effects in the atmosphere are changing the global climate faster than animal and plant life can adapt. In addition to this, electrical waste items may also leak harmful chemicals into the surrounding soil and groundwater causing contamination that is highly difficult and expensive to remedy. A large part of KMK’s WEEE activities involve the recycling and recovery of temperature exchange equipment, such as fridges and freezers. If fridges and freezers are not recycled in the correct manner or end up in the landfill, coolant gases can be released into the atmosphere adding to the greenhouse gas effect. In 2017, WEEE Ireland and KMK captured 120,000 tonnes of CO2 emissions by arranging full recycling through dedicated WEEELABEX fridge plant outlets (equivalent to the consumption of over 13.5 million gallons of petrol). The benefits of WEEELABEX standard recycling across Europe can contribute to a significant reduction in energy requirement and CO2 equivalent emissions. The quality recovery of materials can be reused in the manufacturing of new electronics. KMK Metals Recycling Ltd. has obtained WEEELABEX certification for the compliant processing of SHA, CRT and FPD streams. Best available techniques (BAT) are also implemented for all other WEEE processing activities. KMK has recently undertaken internal projects to reduce their carbon footprint including the replacement of old site lighting for LED’s which are up to 80% more efficient than traditional lighting, such as fluorescent and incandescent lights. KMK is also in the process of developing a 3-year Energy Management Plan in 2019 for both its facilities with set energy goals and targets to be reached by 2021. Where possible, use energy from sustainable sources. The Energy Management Plan will also involve an Energy Awareness Campaign directed towards all staff to influence behaviours relating to energy management i.e. use of lighting, use of heating, use of water and appliances. KMK plan to evaluate the effectiveness of the Energy Management Plan and review all goals and targets in 2021.